Electric forklifts from Manitou are engineered to perform. 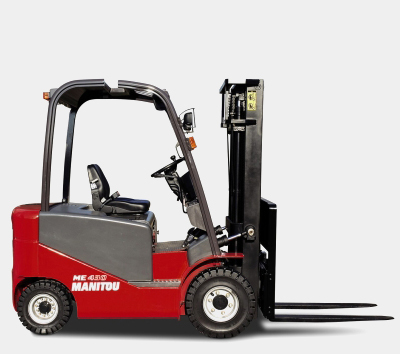 Manitou’s electric forklifts are able to lift up to 3 tons. With both 3 and 4-wheel drive options, Manitou has perfected its range of 6 electric forklifts for the past 60 years, ensuring optimal productivity in your application. View the attachments that are designed to increase productivity and extend the versatility of the electric forklift range. We have introduced two flameproof telehandlers to this range – read about them below! 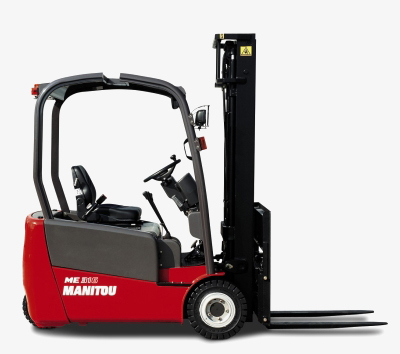 All Manitou handling equipment, including the range of electric forklifts, comes standard with a 12 month or 2 000 hour warranty, whichever occurs first. Manitou offers an extended warranty that will come into effect after the original manufacturer's warranty expires. Electric forklift service centres are located nationally with completesupport 24/7 and 365 days a year, with 95% spares availability. Manitou’s electric forklifts are designed with greater manoeuvrability in mind, allowing for narrower aisles and more storage capacity within a warehouse. 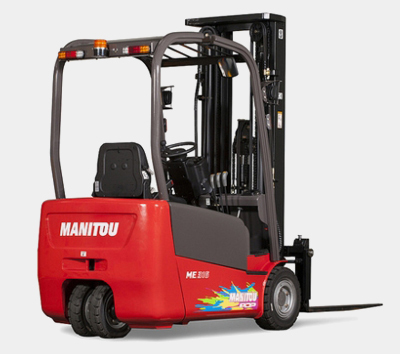 With tight turning radiuses, compact designs and advanced counterweight stability, electric forklifts from Manitou guarantee improved warehouse safety by reducing the risk of impacts.